Basildon Road used to stretch from behind St Nicholas Church eastward as far as Pipps Hill Road. There were many dwellings and a shop or two along the way. Uppermayne was built south to north, straight across it, cutting it almost in half and the eastern side became the No 2 Industrial Estate. 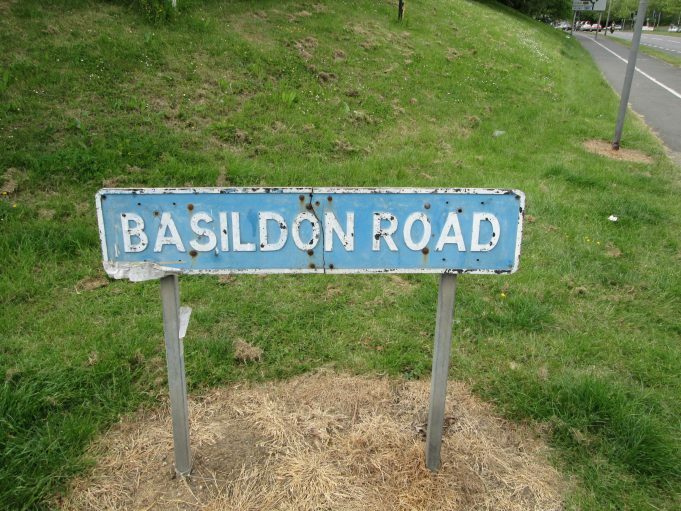 Basildon Road to the west of Uppermayne is now the only part of the road that remains. 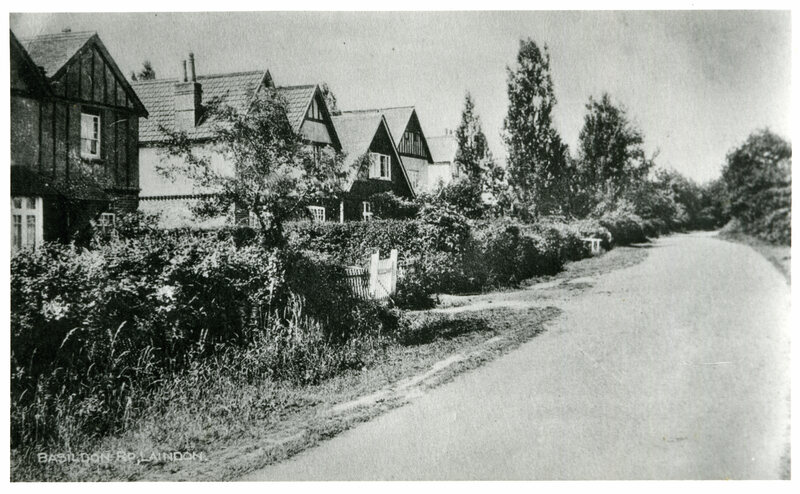 With the aid of the 1949 Survey and a few old photographs, we can recall how the road had looked pre the 1960s. There were bungalows but also some very large, well built substantial houses, a feature of which appears to have been a double pitched roof. 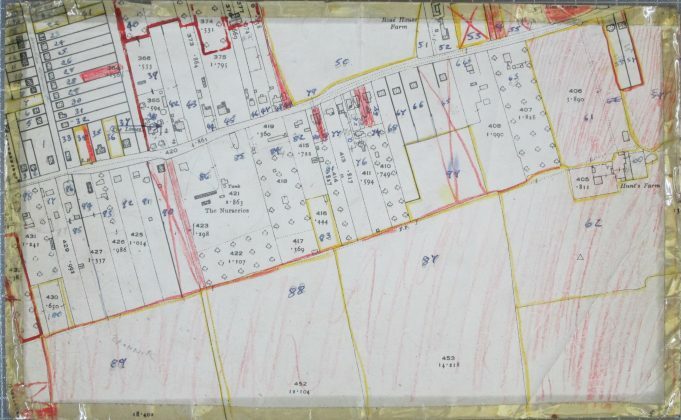 Listed below are some of the names of dwellings as recorded on the 1949 Survey and Electoral Register. Aroma, Lyndhurst, Raymondville, Mendora, Orchard View, Westbury, Uplands, June, Ellesmere, Longleat, Lansdowen, Basilcroft, Petit-Fleur, Margareta, Lillie Dene, Lynton, The Limes, Hollybank, Rosedale, Beecroft, The Ferns, St. Petres, Laindon Park Post Office, St. Paul, Rose House Farm, Elm Farm House, Alpha, Beta, Sunnypatch, Miraflores, St. Stephens, Hawthorns, Shangri-La, Merion, Springfield, Tanglewood, Woodberry, Burnside, Corinth, Sunnycroft, Endymion, Hunts Farm, Forest Lodge, Cleeve Cottage, Redcliffe, Totnes, Homester, Lauramay, Aberdour, Clydeville, Killarney, The Burrs, Clovelly, Swanscombe, St. Aybyns, Ingleside, St. Olaves, Woodville, Abergavenny, The Lawns, The Hermitage, Chase Side, Glenthorne, Ivedene, Pekewood, Hazeldene, Sherwood, Cranbrook, Woodbine, Holmwood, Trossacks, Whitemay, Essex Country Club, Homeland, Aureate, Beltona and School House. Most of the remaining part of Basildon Road now consists of new builds; however on a recent visit we noticed that two original bungalows still remain – Mendora and June. 1906. Laindon Park Post Office in Basildon Road. The Ferns on the left. North side of Basildon Road - undated. Thought to be 1910/1920s. Laindon Park Post Office on the right. Then going left, St Petres, The Ferns, Beechcroft, Rosedale and lastly Hollybank which appears to be facing the front gardens of the other bungalows. No. 48 - Laindon Park Post Office. No. 47 - St. Petres. No. 46 - The Ferns. No. 45 - Beechcroft. No. 44 - Rosedale. No. 43 - part of Hollybank. No. 42 - Hollybank. 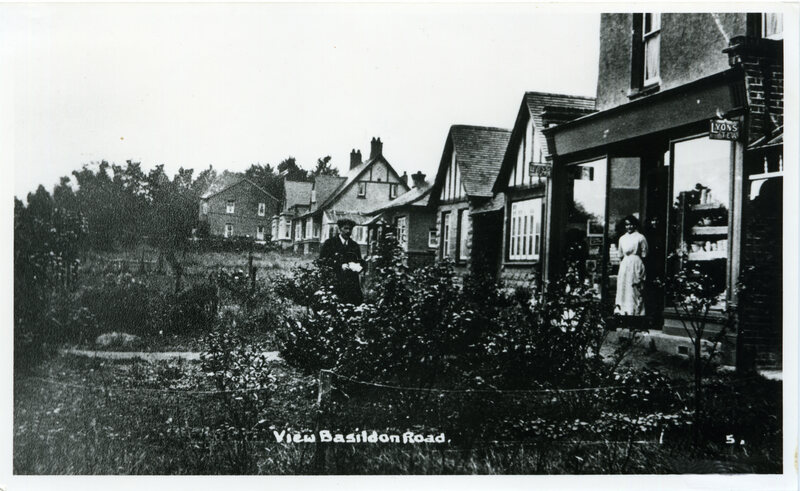 South side of Basildon Road - undated. From the left, Aberdour, Clydeville, Killarney, The Burrs and Clovelly. I remember Basildon Road quite well. My family and I lived in “Bracken Mount” (an unmade road that ran North from Basildon Road to the A127) from 1940 untill 1961 (I was a “babe in arms” when we moved from London’s Stepney during the “Blitz”) I can’t remember the names of any of the properties, but I do remember the Post Office and “Gregs” shop, and the little church hall on the corner of Bracken Mount and Basildon Road, where most of the local children went to “Sunday School” and once a week us boys would attend the “Life Boys” group (younger versions of the “Boys Brigade” water equivalant of “The Scouts”). Everybody knew everybody in those days and life was a lot simpler (well for us children anyway) just “Do as your told, be polite, and don’t answer back” and if you rebelled, retribution was swift and painful. No “Snowflake Generation” from our era. J.B.
Glad to hear the bungalow ‘June’ is still there. I used to live in that one as a child and have fond memories from the 1970s to late eighties. It was a lovely quiet road consisting of 7 bungalows with lovely long gardens, an Irish club and a very large field at the back of the houses where a horse show used to take place on a Sunday. 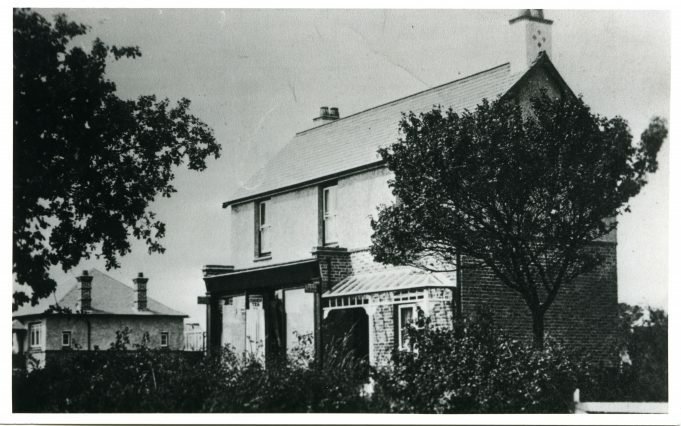 The five houses following Aberbour in the photograph were ‘Clydeville’, ‘Killarney’, ‘The Burrs’, ‘Clovelly’ and Swanscombe’. First house on the left (white window frames) is Aberdour. No. 69 on the map. Owners were Mr and Mrs James Judd, late 1940s to mid 1950s.